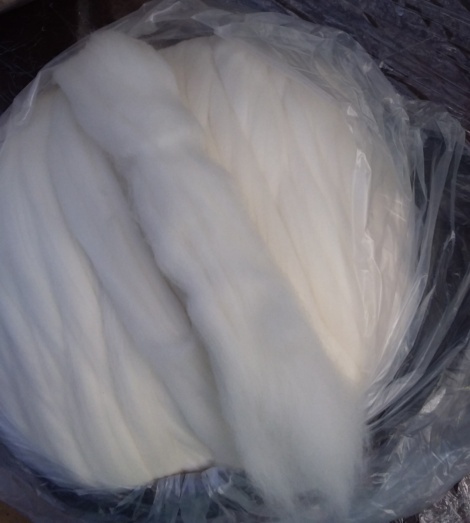 200g pack 20micron Aussie Polwarth combed top ideally suited to spinners and felters. Great staple length, bright white, soft and silky. Grown by Homeleigh Polwarth Stud baas and wholly processed in Victoria. Another superb product from Cashmere Connections, Bacchus Marsh. Ideal next to skin wear with almost 100% comfort factor.